Well! my girls are back to laying in full force! This photo is just this weeks supply so far!!! I get so excited when winter slows down and I notice an egg or two pop up (or should I say, out) each morning. The lull always seems to take too long. 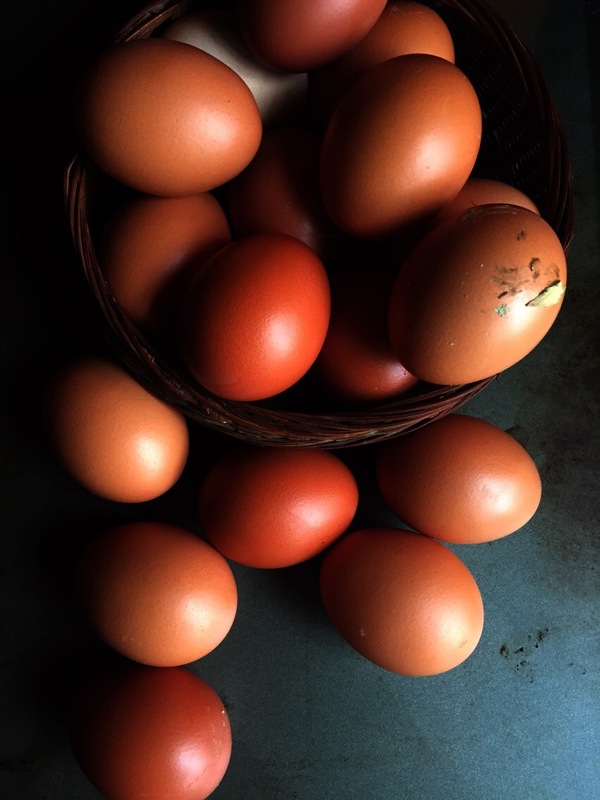 Hens–especially fully matured hens don’t like to lay eggs during the cold winter months! It was 72 and sunny yesterday! Crazy warm for a March afternoon in New Hampshire. My chickens were so happy about the temps and sang the day away. I like to call it the “the egg making song”. Low and behold, I awoke this morning to a whole coop full of fresh eggs! 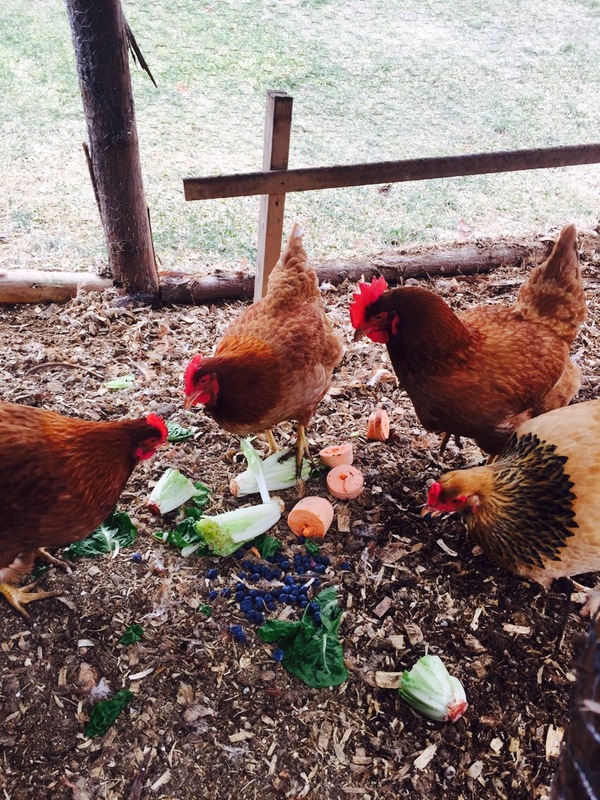 I was grateful and of course spoiled them with a delightful lunch of blueberries, lettuce and sweet potato. Anyway… With all the eggs in our basket, I’ve been trying to incorporate them in as many dishes and treats as I can. As much as I like breakfast for dinner, breads and cookies… I got a little sick of the same ol’ routine this week. 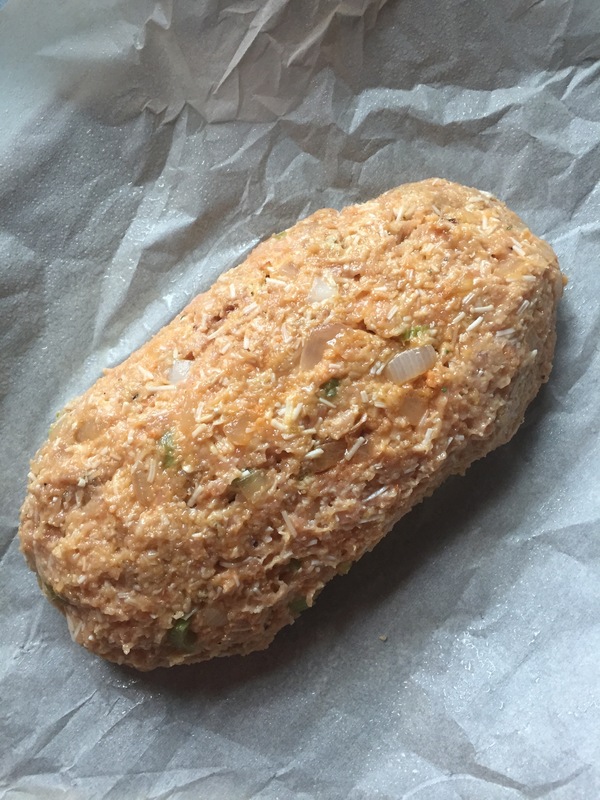 I saw a recipe for meatloaf a few days prior and thought… Meatloaf!! That needs eggs! I’ll make meatloaf. Then I thought….more ketchup? Ugh! More beef and bread? Ugh! And so I went with something that applies to my fussy palette… Buffalo Chicken!!! Mmm one of my favorites! 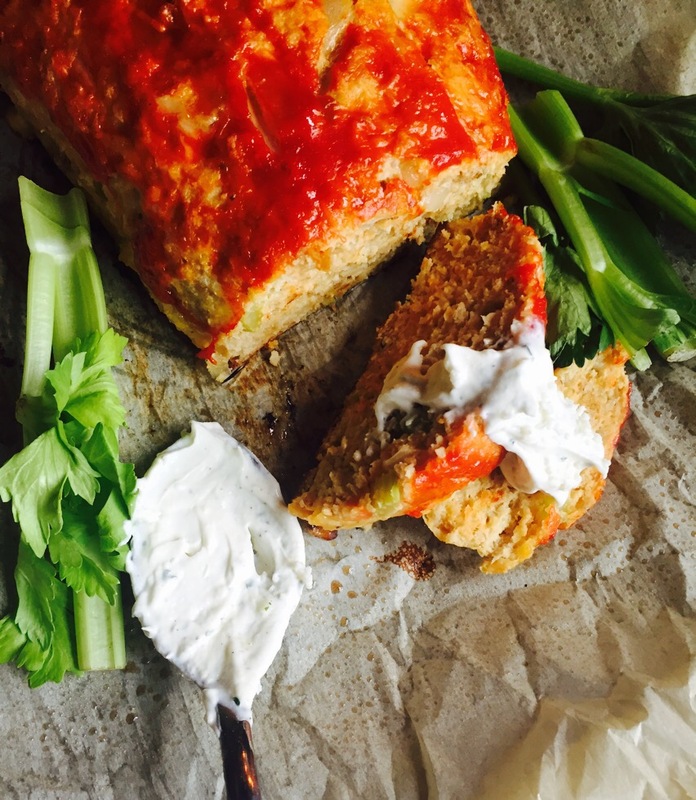 This meatloaf absolutely has that yummy buffalo sauce flavor but isn’t too spicy. My kids will eat it and love it! I’m sure yours will too. That is… If you have kids? First, let me say that my kids don’t love the idea of blue cheese. The traditional buffalo dipping sauce doesn’t always bode well here. Hence, the mozzerella ranch. 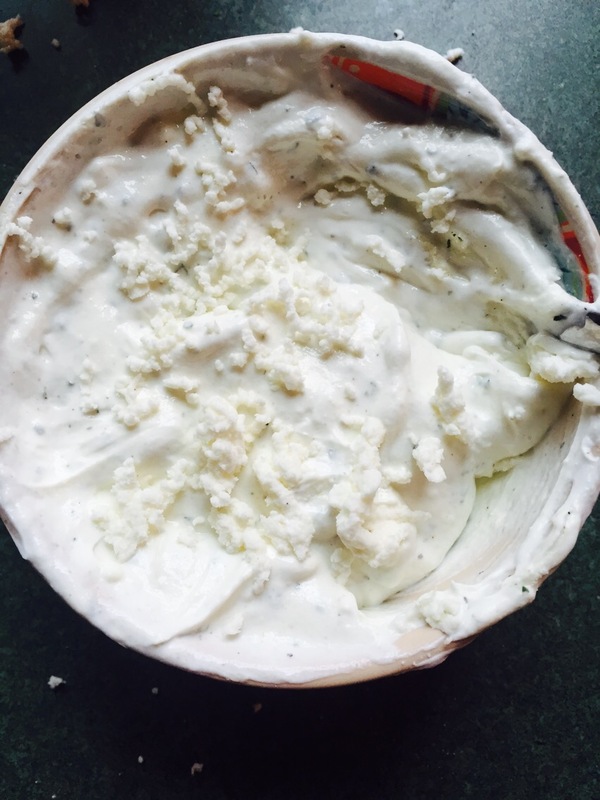 I only add the cheese for texture similar to a blue cheese dressing, however it really just tastes like ranch with an extra kick! Mix 3tbsp of the ranch seasoning, with the sour cream and mozzerella. Chill and use when ready. 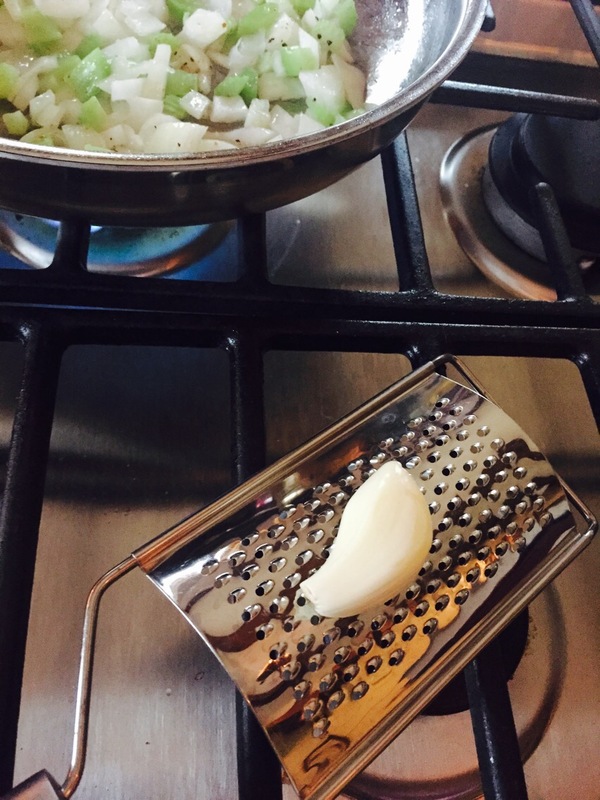 Next- cook your celery and onions over medium heat, in a good glug of olive oil. Grate in your garlic once the onions are starting to become translucent. Once the garlic is in, only cook for about 30 more seconds. 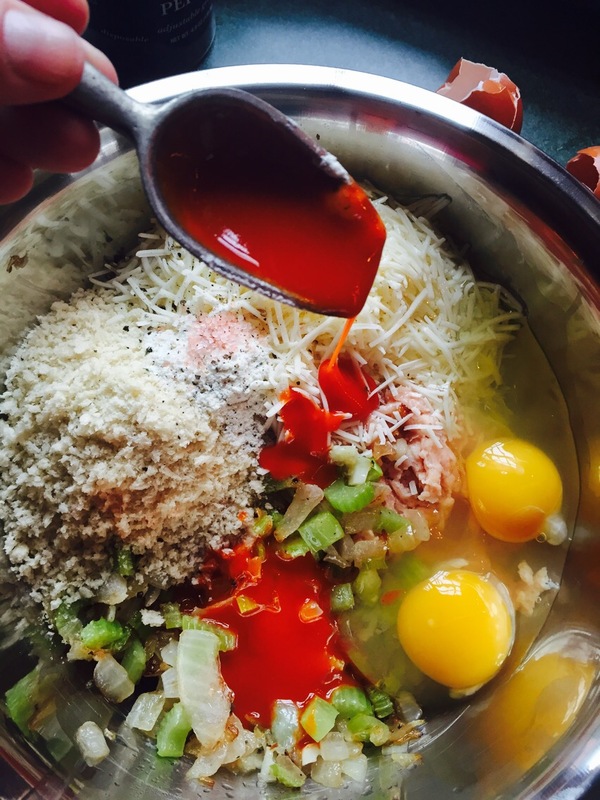 In a large bowl… Add your ground chicken, bread crumbs and stuffing, 1tbsp of ranch seasoning, 2 eggs, the cooked veggies, 3tbsp of hot sauce, cheese, salt and pepper. Mix completely and shape into a free form loaf. Turn the loaf onto a sheet tray lined with parchment paper and sprayed with non stick cooking spray. Next, mix your ketchup and the 1 remaining tbsp of hot sauce. 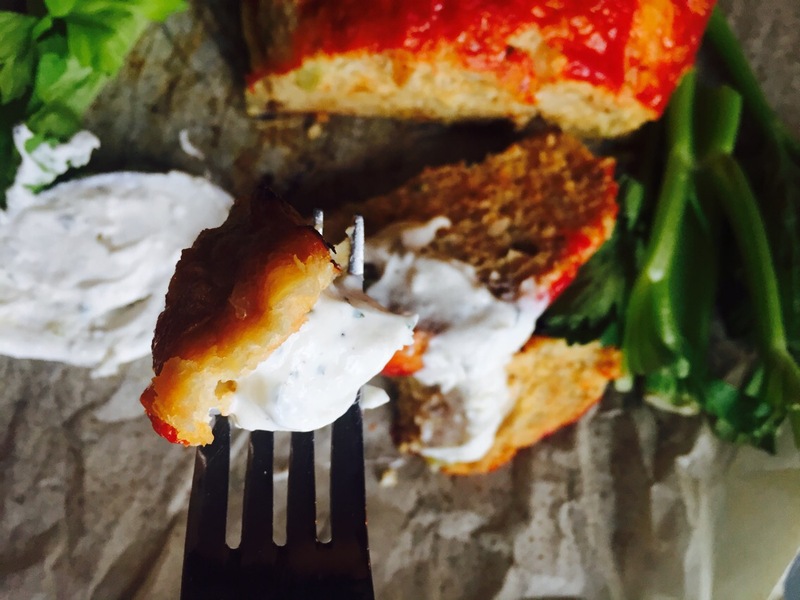 Spread it all over the top of your meatloaf. Bake in a 350 degree oven for 50 minutes and allow to cool for 5 more minutes when done, before cutting. 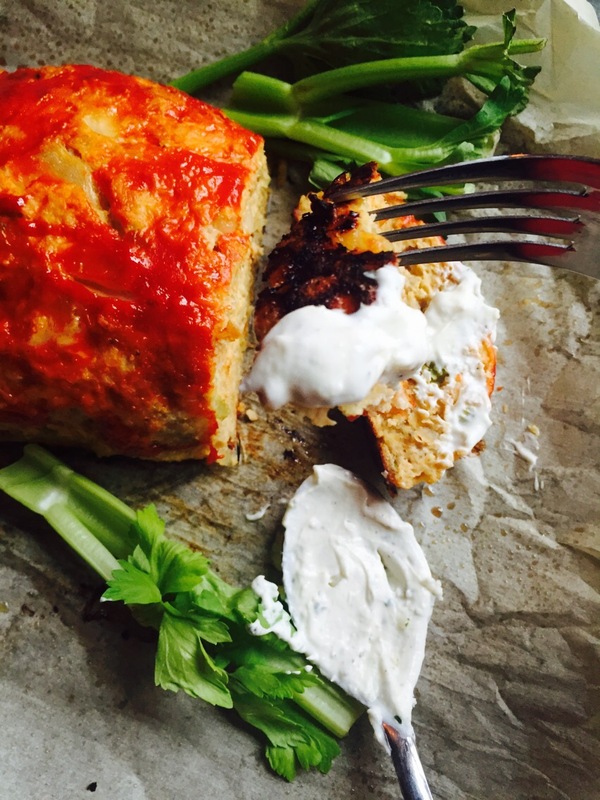 This meatloaf is so flavorful and has a kick that will satisfy grown up tastebuds and kids alike! Here on the homestead, we raise broiler chickens and laying hens. 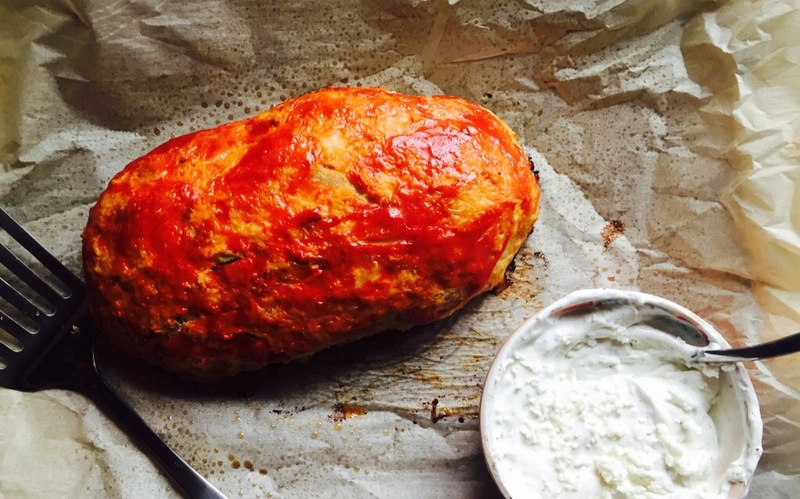 We grow our veggies and bake breads…. This is a perfect example of the many many yard to table meals I prepare for my family! Please give this a try! I just know your family will love it! !